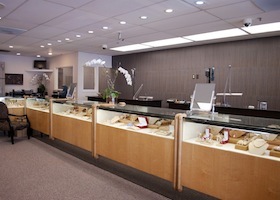 If you are looking for the latest trends and classic designs, Smoke Tree Jewelers has the it all. We carry a variety of men’s earrings to suit each individual’s personal style. Our collection of high-end men’s earrings range from sterling silver studs, to studs with diamonds, gold, and platinum, and more. Whether you are looking for a gift or for yourself, we have top of the line men’s earrings that won’t disappoint! When it comes to finding the best single earring or pair of earrings for your personal style, our plethora of chic men’s earrings will give you that edge and set you apart. Browse through our impressive collection and find the perfect match for you. To find out more, contact our experts today and answer any questions you may have.